I’m not in the habit of reading business books, but this one sounded intriguing. Besides, I’ve heard Pink speak a few times and I read and appreciated his previous book, Drive, so I’d been looking forward to reading this one. The basic idea of the book is that these days most of us are engaged in selling of one kind or another, especially if you think of “selling” as more than just pushing product. If you’re in the business of moving people, then you’re selling—choices, lifestyles, ideas, candidates, whatever. And now, of course, the world of sales is a much bigger part of my life than I’d like it to be. There’s the non-sales selling aspect—simply trying to engage a reader through the words—but there are literal sales to worry about as well: sales of stories to magazines, selling (through an agent, often) to publishers, selling published books to bookstores or readers. So don’t tell me a writer isn’t in sales. 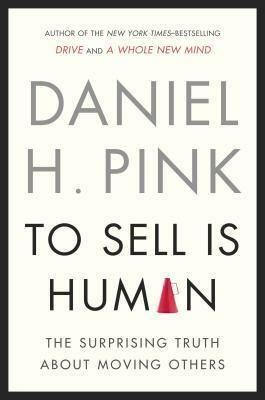 Through a number of case studies and a review of interesting research in the field, Pink follows the evolution of our thinking about sales—this is surprisingly interesting stuff, especially in the engaging way that Pink writes—and concludes with some actual recommendations for effective sales techniques. (For example, it might surprise you to learn that the most effective salespeople are somewhere in the middle on the spectrum of introversion and extroversion, or an area that Pink calls “ambiversion.”) He also has some very specific ideas about creating effective pitches, and it is in this area that the book is most relevant for writers. I’ll be doing a separate “Tips for Writers” post based on those ideas, so stay tuned.